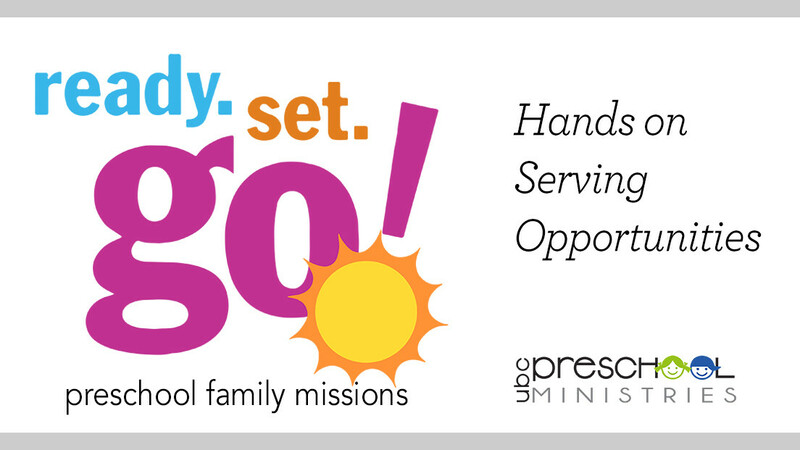 Join us for these hands on serving opportunities! Are you searching for practical ways to serve others this Summer with your whole family? Join us in June and July for Ready. Set. GO! -preschool family mission projects. JUNE: 2-30 Food for Families Nonperishable food collection for Clear Lake Food Pantry. Donation boxes will be posted at Chapel, reception and Preschool. Food will be delivered by KJOY-ers the following week. JULY 13: Helpers for the Homeless Saturday, meet at UBC at 9:15, carpool to Lighthouse Christian Ministries to pack Care Kits. Families can bring needed items on the LCM list, come along to tour the facility, and pack bags for the homeless. These Care Kits will contain specific items that address needs of homeless.